ARE YOU READY TO RIDE FOR AN OVARIAN CANCER CURE? 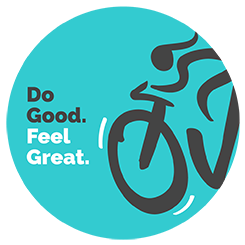 Ovarian Cycle is an indoor cycling fundraising event with a purpose - to make a difference in women's lives by funding scientific research, advocacy and patient support programs for women with ovarian cancer. Whether you're an experienced cyclist or a total beginner, we have a spot for you - no training necessary! Ride at your own pace, with music and instructors to keep you motivated. You can ride solo or with a team, and survivors ride free. Sign up by September 3 and you'll receive one complimentary event shirt and gift bag. Registration is $50. Ovarian cancer survivors ride for free! Individuals who raise $1000 or more will earn a FitBIT or wireless earbuds!